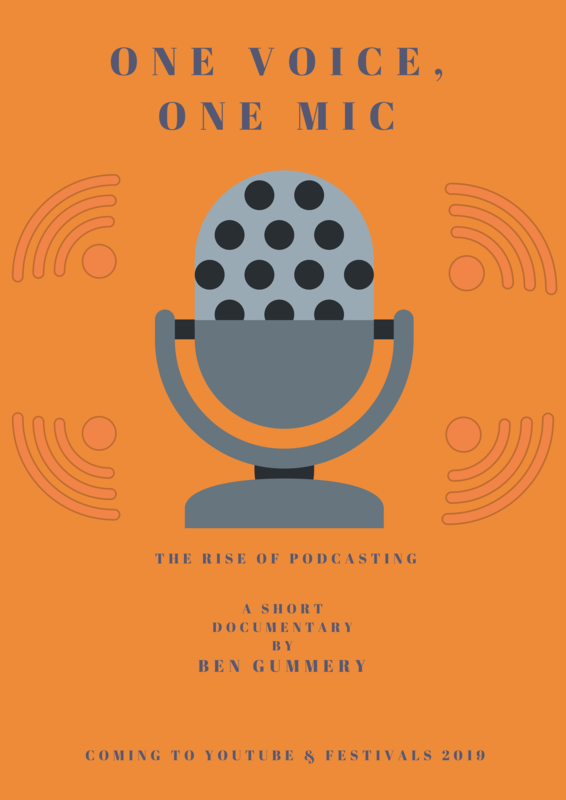 The new short documentary One Voice, One Mic from director Ben Gummery takes an upbeat yet honest look at the rise of podcasting as well as examining the state of the medium; considering whether podcasts are becoming over-saturated and demystifying how the monetisation of podcasts actually works in practice. There are practically no barriers for entry when starting a podcast; all that’s required is a computer with a microphone, or even a smartphone. All podcasts start as a single voice and a microphone, but where does it lead? Through archive footage of industry pioneers as well as in-depth interviews with grassroots podcasters of today the film aims to demystify and shine a light on this exciting new medium and inspire future podcasters. Production originally started in 2015 as part of a larger documentary project and is now being re-formed as a sharp, insightful and timely short documentary film with the aim of submitting to festivals during 2019 before being released worldwide on YouTube. Filming has taken place in Wales, England and on location at the Edinburgh Fringe Festival. The film is being made on a shoe-string budget by a group of committed individuals who share a love of both podcasting and independent film. Follow the progress of the film on Facebook, Twitter & Instagram.